Growth form: Perennial herb. Flowering. May. Status: Native. Rare. Not in other Gulf areas. 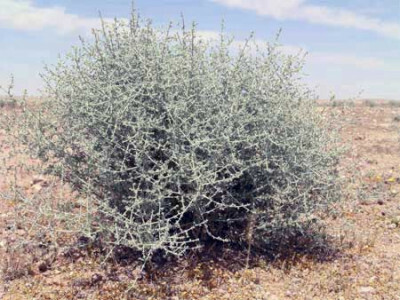 Habitat & distribution: Recorded by Batanouny at a single location along the road N of Doha, in a small depression. Uses: The plant is known to have anti-microbial properties and is used as an antiseptic and an insecticide. Rizk & Ghazaly list many medicinal uses, including treatment for stomach complaints, coughs, bronchitis and to cure nervous troubles.